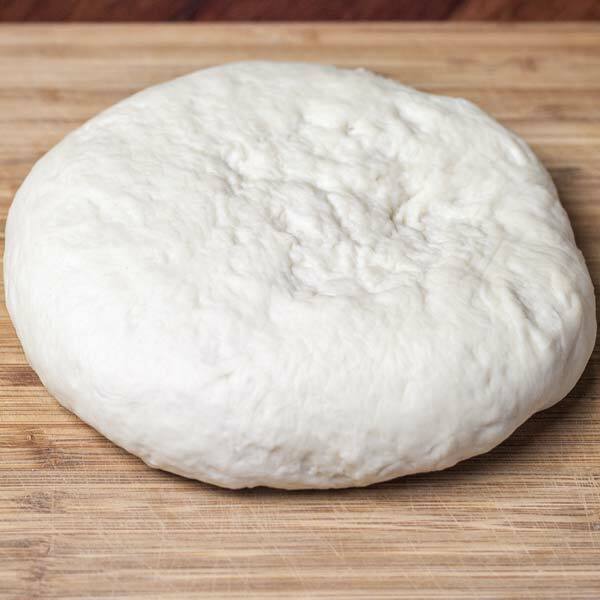 On a floured surface knead the dough that’s left from your pizza (if any) for a couple times. Next roll out each piece of dough into long strips. I wanted to make pretzels. So take the piece, fold it in half and twist it twice. 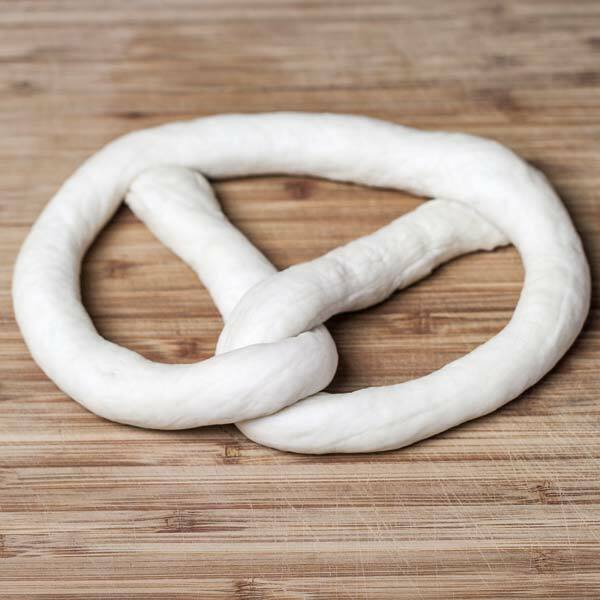 Next bring the two ends up to form a pretzel and pinch the dough so that it would stick. At this point you don’t need to let your dough to rise, it did already when you were making the pizza. 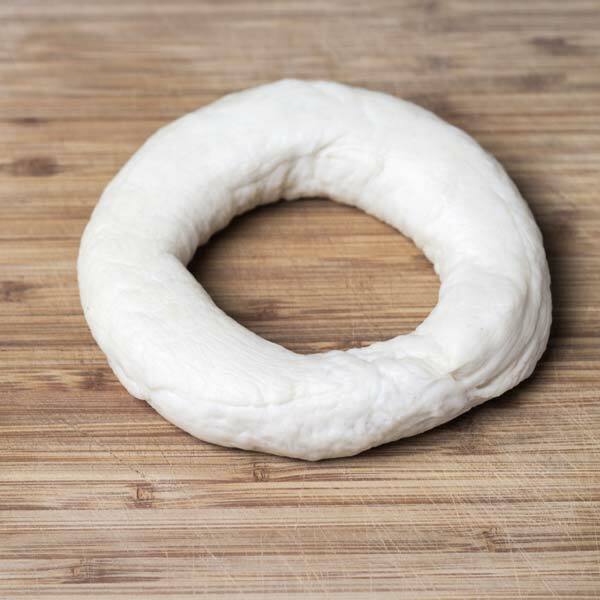 Shape some bagels if you want and move to the next step. Brush them with the egg wash and sprinkle them with salt, poppy seeds or sesame seeds. Bake at 450° F / 232° C for about 15 or 20 mins or until they are nice and golden brown. No matter which ones look better, they were both just as delicious. 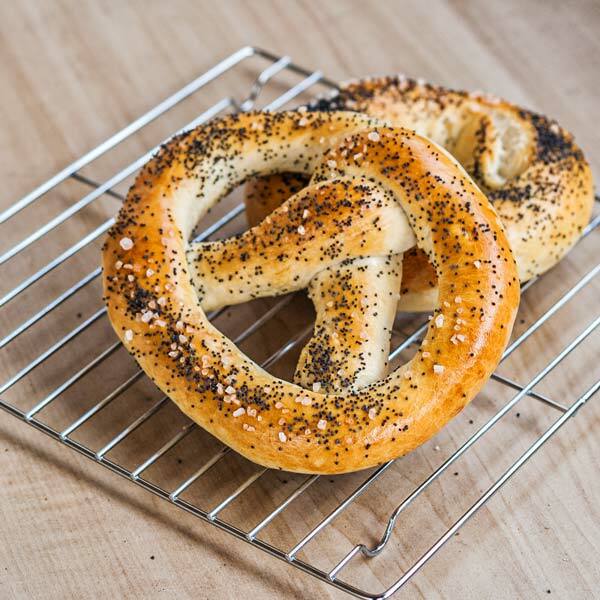 You have to try these, it can’t get any easier to make your own bagels or pretzels. 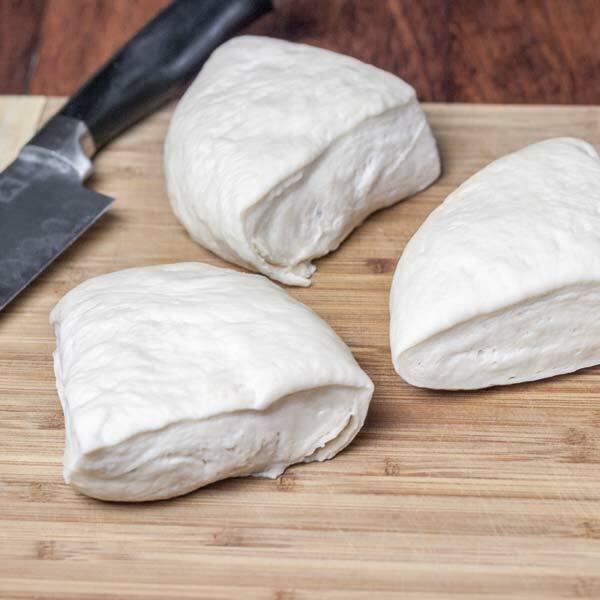 Cut the pizza dough into 4 equal pieces. Roll each piece either into a pretzel or bagel wshape. 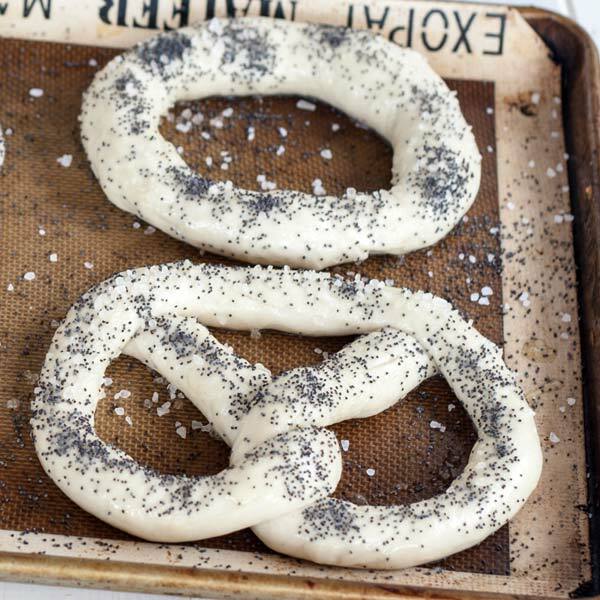 Place the pretzels on a baking sheet and brush them with the egg wash and sprinkle with salt, poppy seeds or sesame seeds if you want. Bake for about 15 to 20 min or until they are nice and golden brown.